The Centers for Disease Control and Prevention (CDC) and the Food and Drug Administration (FDA) say they have zeroed in on the likely source of the romaine lettuce E. coli outbreak. The tainted romaine lettuce is linked to growing regions near Northern and Central California, according to health officials. 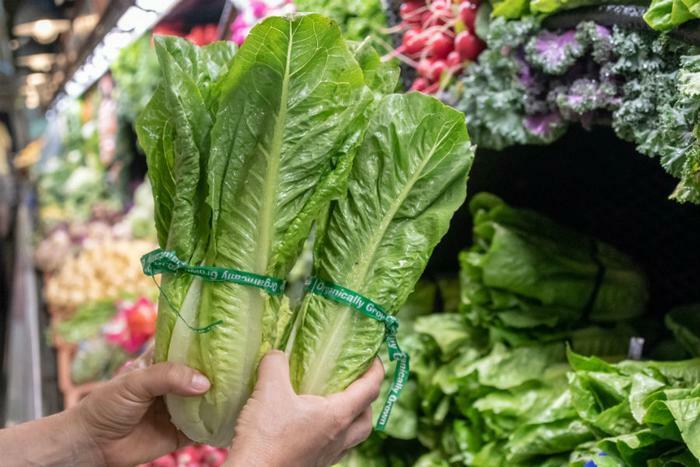 The latest statement comes about a week after the agency issued a food safety advisory urging consumers not to eat any brand or form of romaine lettuce after 43 people in 12 states got sick. The warning applied to all types of romaine, including whole heads and hearts of romaine, bagged mixed salads, and baby romaine, spring mix, and Caesar salads. In light of the results of the investigation, the CDC said on Monday that consumers are cleared to eat some types of romaine lettuce. Romaine recently harvested in Arizona, Florida, Mexico, and California’s Imperial Valley is safe for consumption since romaine from those areas was not shipping when consumers first began reporting illnesses. Labels will be added to romaine lettuce products to indicate that they were grown in a “safe” region, however "it may take some time before these labels are available,” the CDC said. "If the romaine lettuce is not labeled with a harvest growing region, do not buy, serve, sell, or eat it," the agency said in a statement.